You arrive at Frans Seda Airport in Maumere, meeting with our guide and transfer to Sea World Club Hotel. in the afternoon you have a free program at the Hotel. The morning after breakfast departure from your hotel, drive to Wuring Village, a small fishing village, with impressive Mt Egon volcano in the background. It is home to Bugis and Bajo people who live in traditionally constructed stilt houses, continue to Ledalero Museum, an interesting collection of ethnological objects from the region. Sikka Village is the former center of the Kingdom of Sikka features a big church, which was built with the support of Jesuit priests in 1899. Its inside walls are nicely decorated with local ikat motifs and famous weaving ikats then to Paga beach, enjoy the white sandy beach and at a local restaurant. In the afternoon drive through the mountain road to Moni. Dinner and overnight at Kelimutu Moni eco-lodge. 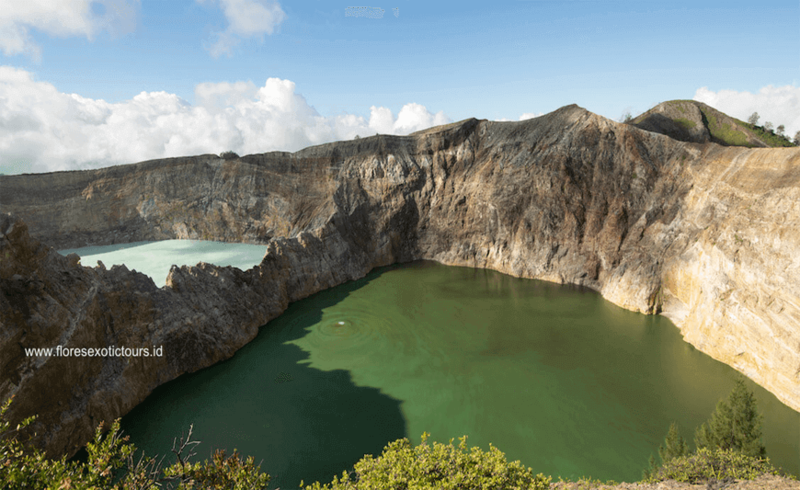 You drive in the early morning at 4 am from your hotel, drive to Mount Kelimutu, with its three -colored crater lakes is probably the most amazing natural phenomenon in Nusa Tenggara. The color has dramatic changed in the last 20 years, now it has the turquoise, Blue and dark green. In the morning it has the best opportunities to enjoy the sunrise (if the weather permit), on the way back to the hotel you will stop on the rice terraces, after breakfast at Hotel continue drive to Ende with some stop on the way. Lunch in Ende, afternoon take a visit to Soekarno Museum and enjoying the sunset from Ende Harbor. Dinner and overnight at Grand Wisata Hotel in Ende. Breakfast at Hotel, Then transfers to the airport, Flight by Wings/Lion air or Garuda Indonesia to Denpasar, Bali. · Accommodation with full board meals.